The official Twitter account for the Japan server of Fate/Grand Order has announced a rerun of the Fate/kaleid liner Prisma Illya, “Prisma Causeway” event. The event will give players the opportunity to receive Chloe von Einzbern as playable Servant. Chloe is a very good 4-star Archer class servant with a single-target Noble Phantasm. If you have an account on the Japan server, and did not get her the first time around, here’s your chance to add an excellent free 4-star servant to your party. In addition to the rerun announcement, Miyu Edelfelt makes her long awaited debut to Fate/Grand Order as a 4-star Caster. 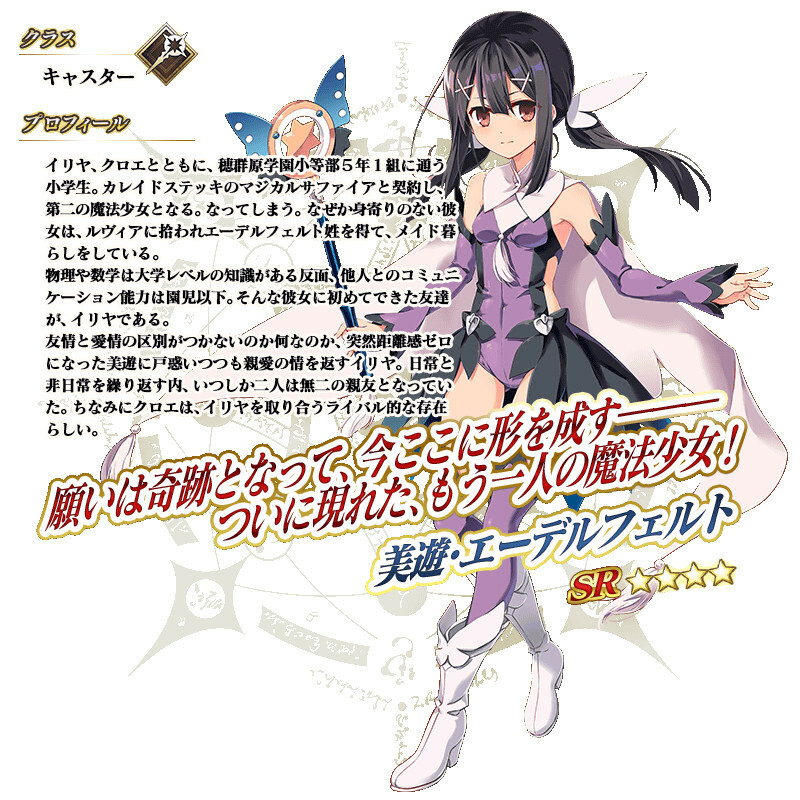 Miyu was previously only shown on Craft Essence art and was not playable. She makes her debut more than two years after Illya and Chloe were added as playable characters. Miyu will be available for summoning as a limited servant during the “Prisma Causeway” event gacha. She will also receive an attack bonus for the duration of the event. The “Prisma Causeway Re-install” event is set to start on January 23, 2019 at 18:00 JST. Will you try to add Chloe or Miyu to your party when this event comes around?